The victor of the living room will have to go through Apple first, Gabe Newell says. With one console generation winding down and another rising, now is time for an innovative newcomer to grab the market. Valve boss and all around jolly man Gabe Newell thinks that Valves upcoming linux-powered Steam Box can fill that hole. 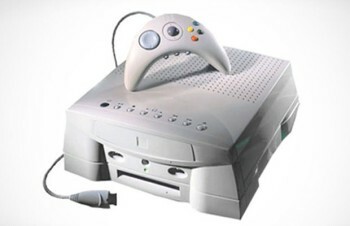 Speaking before a class at the University of Texas, Newell said that before the PC can enter the living room, it'll first have to defeat Apple. Of all the companies with access to the living room, Newell commented, Apple's the obvious threat. "I think that there's a scenario where we see sort of a dumbed down living room platform emerging - I think Apple rolls the console guys really easily. The question is can we make enough progress in the PC space to establish ourselves there, and also figure out better ways of addressing mobile before Apple takes over the living room?" Considering that its business strategy seems to be disrupting markets with new devices, it makes sense to be mindful of Apple when trying to do something new. More importantly, Apple won't be the only one. "I think a whole bunch of hardware companies are going to be releasing products in the next 12 months - you'll hear it referred to as Miracast, [Project] Shield from Nvidia, or lots of other people." Newell strongly believes in the power of the PC platform to transform the living room by setting its open, flexible nature directly opposed to other, closed systems. "Well, I could buy a console, which assumes I'll re-buy all my content, have a completely different video system, and, oh, I have a completely different group of friends, apparently. Or I can just extend everything I love about the PC and the internet into the living room."